Bull Point Real Estate - Find Your Perfect Home For Sale! 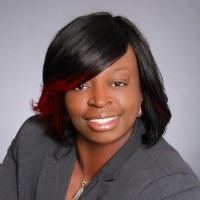 Carletha Frazier Singleton began in the Real estate industry in 2004, she is a licensed real estate broker in 2 states and holds a vast amount of knowledge and experience. She has managed apartment communities housing over 300 units and later went on to own and operate a property management company that served investment properties from single family homes to condos and duplexes. Carletha's knowledge and experience expands beyond property management to assisting first time home buyers, military buyers as well as individuals looking to move up or downsize their current lifestyle. She also helps investors locate and purchase and sell property. Her marketing techniques excel when assisting homeowner s to sell property. In addition to real estate, Carletha started mentoring and coaching business individuals and entrepreneurs in 2011 and her passion to empower others continues to grow. She is a certified mentor for eXp Realty where she helps guide both new and seasoned agents with their real estate business. Her enthusiasm for technology & passion lead her to become a certified trainer for the National Association of Realtors. Carletha goes above and beyond to serve her clients with an anything is possible attitude. Down Payment – How Much Do You Need?